You are here: Home / How to fix Epson printers error message: A printer error has occured. 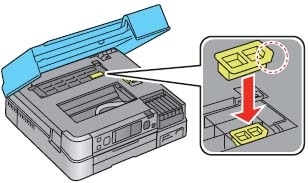 How to fix Epson printers error message: A printer error has occured. If you see the error message on the screen of your printer. Such printers as Epson TX810, Epson Artisan 700, Artisan 710, Artisan 720, Artisan 800, Epson Artisan 830, Artisan 810, Artisan 820, Artisan 835, TX700, TX710, TX720, TX800, PX810, PX700, PX710, PX800, Epson PX820 and other have built in monitor-screen. 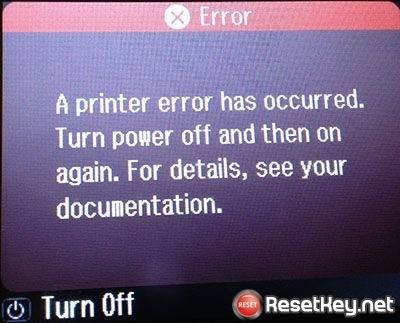 Solutions to fix Epson printers error message: A printer error has occured. Turn power off then on again. For details see your documentation. Step 1. Turn printer OFF. Unplug the power cable from wall outlet for 5 minutes. Power ON the printer again. If the error has not gone – follow next tips. Step 2. Make sure the transportation lock has been removed. Store the transportation lock as shown below. Step 3. 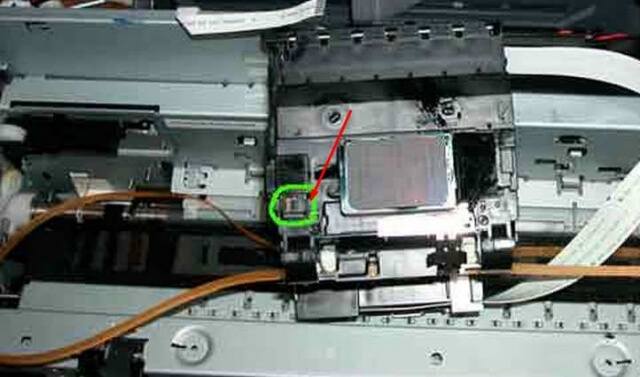 If the CD tray is in the eject position, make sure you press the CD Tray button to retract the tray to the storage position. Never push or pull the CD tray into position. Step 4. Turn the Epson printer OFF and make sure paper is not jammed inside the unit. Step 5. If you have printer with CISS installed make sure the printer carriage can go left and right easy. Step 6. Make sure the upper scanner part of printer is closed tightly. Nothing prevents to close it tightly. Step 7. That initialization routine that gets run on Start Up checks the entire units function before completeing without an error. Step 8. If You use CISS – there maybe ink tubes preventing to move carriage from left to right. So we suggest You to install original Espon ink cartridges and run the printer. 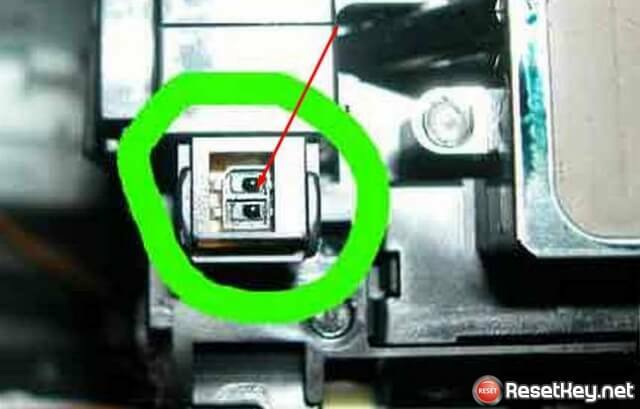 If there will be NO error – the reason is the CISS – installed not correctly. Step 9. Access the cartridge loading area while off and move the carriage away from the stops, just an inch is needed. Lifting slightly, it should move easily, if it appears sluggish at first, the ink collection cup is gummed up and needs cleaning. Step 10. The paper path has sensors that are mounted opposite the size adjustment slide on the paper tray. 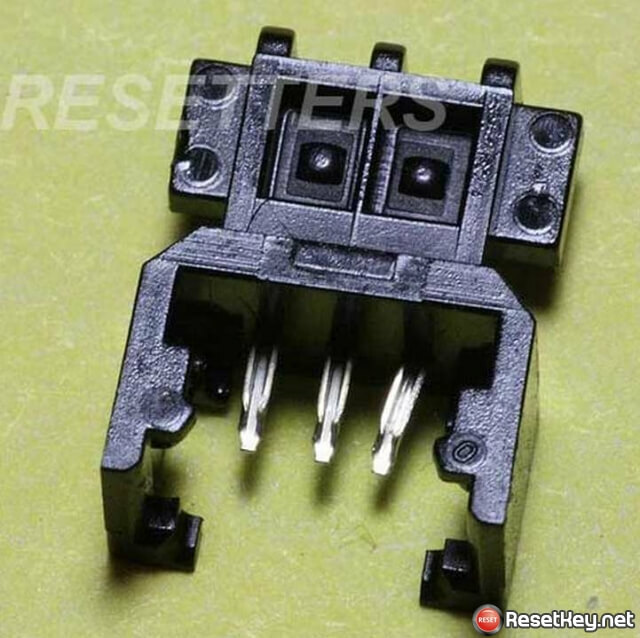 Usually a small opto-sensor, it can be blocked with dust. The solution is to disassemble the printer and clean all optical sensors, paper feed sensors, encoder strip and disc encoder. Usualy the Service Manual for Your printer model wil be helpful while disassembling the printer and assembling back.